and the unwritten Fairplay rules in table tennis. The goal of table tennis is simple, like tennis. Hit the ball over the net and land on the opponent’s side. If they miss the ball, you win +1 point, and your opponent wins 0 points! 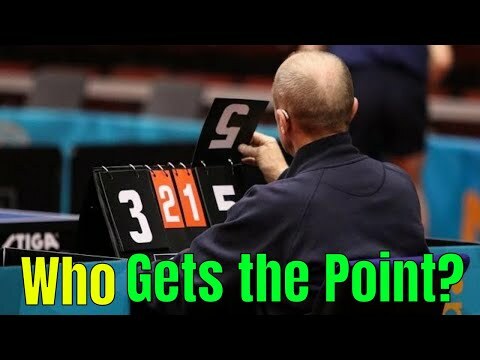 The winner of a game is the first to 11 points. If both players reach 10-10, you need to win 2 points in a row to finish the game. To win a match you need to reach Best-of-5 of best-of-7 game. Unlike tennis, in a ping-pong: the ball must touch your side. Always from your right haft table to the right half table of the opponent. In doubles, the server must be rotated. You serve 2 points, and the next time, it’s your friend will serve. 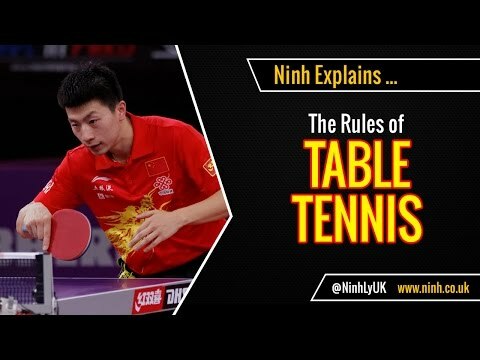 Here is the quick recap of the basic rules in table tennis in 3 minutes. The Rules of Table Tennis (Ping Pong) – EXPLAINED! Here is an example of the table tennis rules. Even at the high level, the umpire is wrong! Who gets the point? Table tennis laws: Who gets the point? Basic Playing Rules In Table Tennis: Simple and Handy! Never too late! Let’s your kids learn ping pong right now!